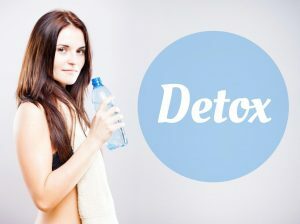 Drug detox programs are exactly that: programs designed to help your body “detoxify” from drugs and dependency upon them. In this particular case, the focus is generally around what is known as “chemical” addiction. This is where the body becomes physically dependent on a specific type of drug -the most well-known being alcohol, however heroin is also quite chemically addictive. So, what exactly is done during the detoxification process? It depends on the treatment you need and the center you’re attending. The ultimate goal of any of these is to “wean” a patient off the physical need – however there are also a lot of psychological elements involved in these cases as well. Addiction is a multi-faceted thing and depends on a variety of factors. With some drugs, a drug detox cannot be done without medical help. This is because of the dangerous effects that suddenly stopping the use of a particular drug can have. And of course, this kind of drug detox is not going to address any of the psychological or social issues involved… which is why many programs will also have counseling available. There are some programs that require full attendance or residence at a rehab center. This decision could be made by you or by your doctor. Whether the program will be inpatient or outpatient depends on the severity of the effects of withdrawal. Alcohol, for example, could involve both. The same can also be said for certain kinds of opioid. In some cases, ‘replacement’ drugs are used in order to stave off the craving. A common example focuses on the patient’s dependency. For example, for someone on heroin methadone is often used as a replacement. It doesn’t have the same euphoric effects as heroin, however it stops the craving and fulfills the physical need as the patient slowly withdraws. Medically assisted withdrawal is only the first step in a long process. Once someone has decreased their dependency on a drug significantly, other steps can also be taken. These often involve focusing on social and psychological factors, and learning how to manage the psychological need for a drug (if that is the case, which it is for many). In most programs, counseling is given throughout. Patients may even be encouraged to write a diary of their progress in order to see it. Another aspect of recovery that many programs focus on is relapse. Relapsing, as many experts will state, is a completely normal part of the recovery process and this is something that patients need to understand. Preparing for this will also be a part of the program. How Can I Decide Which is Best? The decision between inpatient or outpatient treatment will be made depending on the kind of dependency you have, as well as what your doctor thinks might be best. Opinions can of course differ, but for some people full-time attendance at a rehab center is usually the best solution. It means that the right kind of help and support will be there to help the individual through it. Different methods can also be tried out. It can also depend on how much an individual can handle to begin with. Psychological assessments might also be involved to ensure that the patient gets exactly what they need. If you do have any questions about this process then you can speak to a professional to see what your options are. It is a good idea to take medical advice but also pay heed to your own feelings. Understand the help and support is there and that there is nothing shameful about putting your trust in professionals. His House Rehab offers industry leading Alcohol Detox Treatment. We were founded in 1994 and we base our Drug and Alcohol Treatment programs on five key principles: commitment, honesty, integrity, respect, and service. These five principles guide us in all that we do and all the care we provide. Contact us today to see how we can help you or your loved one at (888) 681-4594.